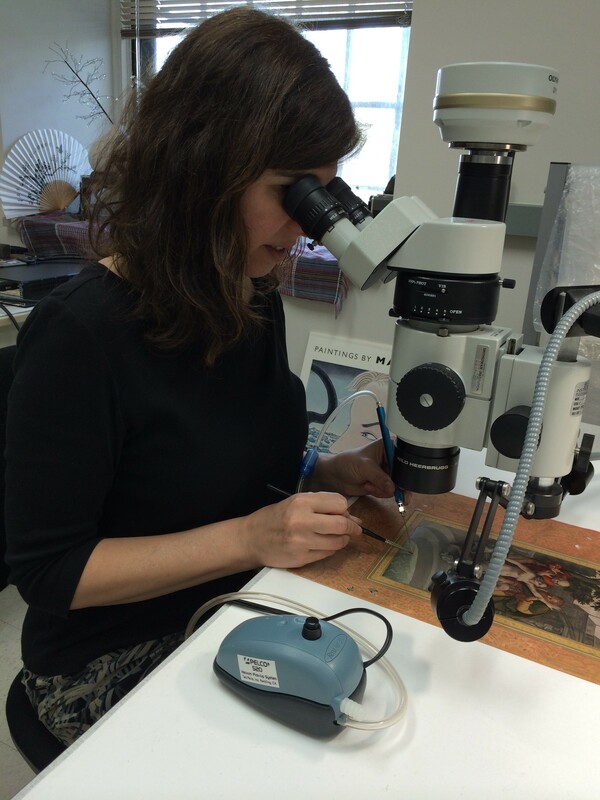 F|S paper conservator Emily Jacobson cleans a painting using a vacuum pick-up tool. Emily Jacobson is paper conservator at Freer|Sackler. Everyone knows that spring is the time to clean house: throw open the windows and doors, let in the fresh air, and shake off the cobwebs of winter. Well, we may gently remove the cobwebs here at the Freer|Sackler, but we don’t throw open the doors and windows. There are a number of reasons why it’s critical to control the environment in a museum, most importantly to help preserve the collections and slow down deterioration. It is particularly important for works on paper, as they include some of the most vulnerable materials used to create art. Works on paper need to be protected from dust and particulate matter that might settle on the surface. The temperature can’t become too hot, as that could accelerate reactions leading to the discoloration of paper or desiccation of paint binders. The relative humidity needs to remain moderate and stable; if it gets too high, mold can grow on the surface of the paper or paint. 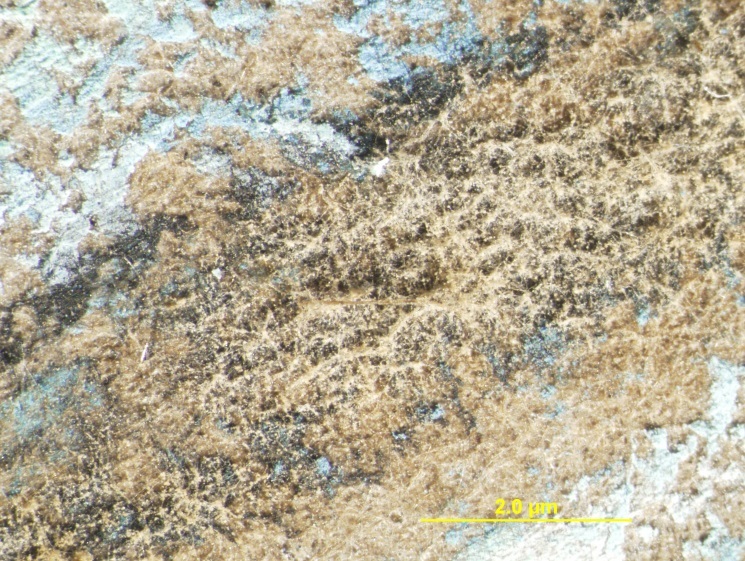 Detail of fuzzy, brown-colored mold on a pastel drawing, obscuring the black and blue media beneath it. While we have excellent temperature and relative humidity controls in the museums, many works in our collection arrived here after being stored in poor environments. One of the problems we occasionally encounter is old, dry mold on the surface of a painting. While the mold, which looks like powdery fuzz, may not be actively damaging the surface, it could be reactivated by high humidity. In many cases, the mold also obscures details and colors in an artwork. So, we remove the mold to prevent the possibility of problems down the road and to improve the art’s appearance. Mold on a painting (left) and after cleaning (right). Mold is an irritant and can even be toxic, so we don’t just brush it off into the air. We remove it using a small device called a vacuum pick-up tool, which incorporates an aquarium pump. The pump has been modified: instead of pushing air into a tank of water, it pulls air through a needle-nosed tool at the end of some tubing. The suction is extremely gentle, so it can be used on delicate paint with cracks and insecure media. Using a soft brush, we move the mold toward the tool’s tip, where it is drawn into the tubing. In conservation, spring cleaning doesn’t just happen in the spring. The care of objects and attention to detail goes on year-round. Stay tuned to Bento for more inside looks at our work.